What about something that can totally change the world; especially in the agricultural sector? You might have known about Microsoft, and their annual Imagine Cup for startups from all over the world. In the recent edition of the Imagine Cup, a group of aspiring youths from Nepal bagged gold being at the top in the Artificial Intelligence sector. What’s so special about them? What did they do reach to the top? The team is recognized as “SochWare” and includes three team members who are all young Nepalese students. 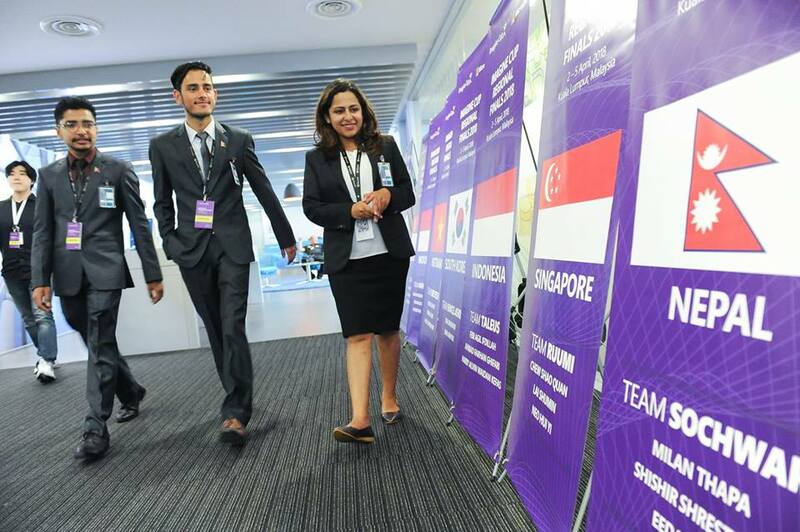 Eeda Rijal, Shishir Shrestha and Milan Thapa of the SochWare team recently reached to the top of the world in the Artificial Sector at the Microsoft Imagine Cup 2018. Since Microsoft provides awards in the Imagine Cup to startups from all over the world who are doing great things with the technology available for them, there needs to be something that is so special that made the SochWare team reach to the top in the AI sector. These three youths from Nepal developed an application named “E-Agrovet” which you can easily download from the Google Play Store. With the name, it seems like it is totally related to agricultural sector. Yes, that’s true. This application allows you to detect the diseases in your plants and crops, and with its artificial intelligence, it suggests you all the necessary methods you might need to follow to cure them. Not only that, the application also lets you connect with professionals regarding those diseases as well as displays the list of all the places near you where you can find solutions for the diseases. This application is mainly targeted towards the farmers and with the help of this application, the farmers can easily connect with the harvesters near them and let them know about the condition of their crops. This thing can be the next big thing. Why? With this idea, farmers from all over the world can be able to solve the problems with their crops easily. Getting your creation to the top of the world in the most essential sector of the present time, the Artificial Intelligence sector in the largest technology competition organized by one of the biggest technological giants is not an easy task. You have to invent something that can help people, and something that can really change the scenario of the entire world. If this idea of the E-Agrovet application gets support from multinational companies working in the field of technology, then it surely will change the whole process of how things work in the garden and the field. The farmers will no longer have to buy new crops or go very far from them to find the diseases existing in their crops. They can do it easily with the E-Agrovet application and also find all the ways to contact professionals regarding the diseases. Hi! I am Binit Ghimire, a teenager from Nepal who is highly enthusiastic about technology. I spend my day either by writing blog articles, working on web development, trying to find bugs in several websites or learning cool things regarding web development, software development, networking, network security and a lot more technological aspects.